Most people do not want their loved ones to reach the stage of eternal oblivion or them to get transformed to an extraterrestrial status in any heavenly or hellish surroundings so soon. Even when they are in their late eighties or in the nineties, we would like to have them with us. Death is a reality which we would not like to accept so easily. My grandma loved to live life ‘king size’. 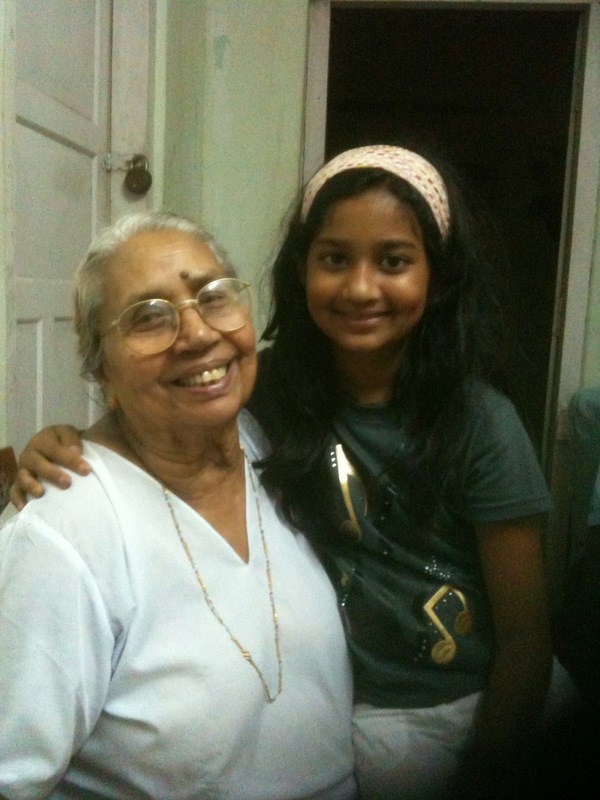 She took care of her health meticulously for several decades without missing her medicines even once. From the above extract, I am sure you could understand the ‘persona’ of my Grandma. She loved a royal life and appreciated the creator and the creation. Neither she nor we, the close relatives, realized when she was admitted to the best corporate hospital in the district with the complaint of a skin infection on her legs that she would not return to her home. Within a few days, she developed respiratory tract infection. Her heart worked fine with her third pace maker. But the chest infection became serious and she could not breathe normally. She continued to be in the Intensive Care Unit. As her condition worsened, the doctors briefed the situation. They asked her children whether they can move her to the ventilator, though the survival is difficult even with ‘life support’. As all of them wanted it, she was put on a ventilator. Most of the children and grandchildren who are around, sat outside the room for days together. They went to see her one by one during the permitted time every day. She took hold of the hand of one of her sons and scribbled something with her finger on his palm. She looked at him and having realized that he didn't understand what she wrote, took his hand again. She ‘rubbed’ what she wrote earlier with her fingers and wrote again slowly. The son could make out what she wrote: ‘Pace Maker’. Everybody knew why she wrote that. She had thought that the current problems are because of the pace maker or its battery and it needed to be replaced. She knew about the huge cost and wanted the children not to hesitate in ordering the device thinking that it is of no use at the old age. She didn't want to leave this beautiful world. “At any cost, I want to be back at home”, that was the expression. Slowly, it was conveyed to her that pacemaker was working well. She realized that something else was seriously wrong. Whenever we met her inside, we saw tears flowing down. She might have felt claustrophobic with the mask and tried to pull out the wires and tubes. As days went by, she felt that survival is bleak and her eyes pleaded us to remove her from the life support. She couldn't tolerate the pain, suffocation and the state of helplessness. But, for her children, they wanted to trust the words, ‘10% chance of survival’, given by the doctors even if each day in the ventilator added huge amounts to the hospital bill. For a person who loved life and who was always optimistic, they thought, nothing should be left without trying. There is a roll call for all of us to leave the world. There is no exception. And my Grandma died in the early hours of the day. After the funeral, we came back to her home and found two sheets of paper in her cupboard where she had neatly listed her treasure and clearly written who will take what as per her assessment of the needs. She wrote: ‘Dear children, you should never fight and you should take care of each other. Please do not forget to offer Holy Mass every year on the day of my death and pray for me at my cemetery’. I can’t tell that it was a peaceful death. I am sure she went through her worst in those days than during her entire lifetime. Though she had an ardent desire to live, the ‘artificial’ life with the help of ventilator would have made her hate the world. I ask myself: Were we right in putting her in the ventilator for weeks? Shouldn't have we given her an opportunity to leave the world naturally while at her home with all of us nearby? A few months back, I came across an excellent and thought provoking article in the ‘Malayala Manorama’ daily by Dr Suresh Kumar, a passionate speaker and writer on the subject. He is the Director of Institute of Palliative Medicine, Calicut, Kerala. The article is in Malayalam. I have given below a few valuable points he made in the above article. ‘Whenever I took classes to the Doctors in India and abroad on Palliative Care I asked this question: ‘Are you ready to die the way your patients died at the hospital bed?’ Most of them told me they weren't. They are very much aware that hospital is not a place for peaceful death. Why then so many people made to spend their last days in hospitals? To this question, they say ‘external pressure’. There are many types of pressures. If we ask the doctors, they would say that there is pressure from the relatives of the patients. In private conversations, at least some doctors would admit that there is pressure from the hospital management. If we ask the relatives of the patients, they would say that what public will think if we take our dear ones home without trying all available facilities at the hospital, though they knew that won’t help. For patients, spending their last days in ICU is a very traumatic experience. One could imagine, how these patients felt, as they were made to spend their last days amidst a few machines, wires and unfamiliar people. They would have wished to see their near and dear ones at those moments when they had to leave the world. There is a mind-boggling economic dimension to the above scenario. Statistics indicate that in Scotland, half of the annual income of a hospital comes exclusively from the patients who spent their last days in that hospital. As per the estimates from the medical insurance sector in the United States, people incur majority of their medical expenditure in the last six months of their life. Which better place to spend the last days than in one’s home? With whom one can find peace and happiness other than the near and dear ones? As Dr Sureshkumar rightly mentioned, an open debate is necessary on this subject. The government, hospital management, doctors, relatives of the patients and the public should understand that patients who are in their deathbeds have their rights, aspirations and wishes. Of all of them, the doctors under whom the patient is admitted, play a crucial role in advising the relatives correctly, without succumbing to any social or professional pressure or any financial interest, to ensure a peaceful ‘departure’ to those patients whose chances of survival are limited. 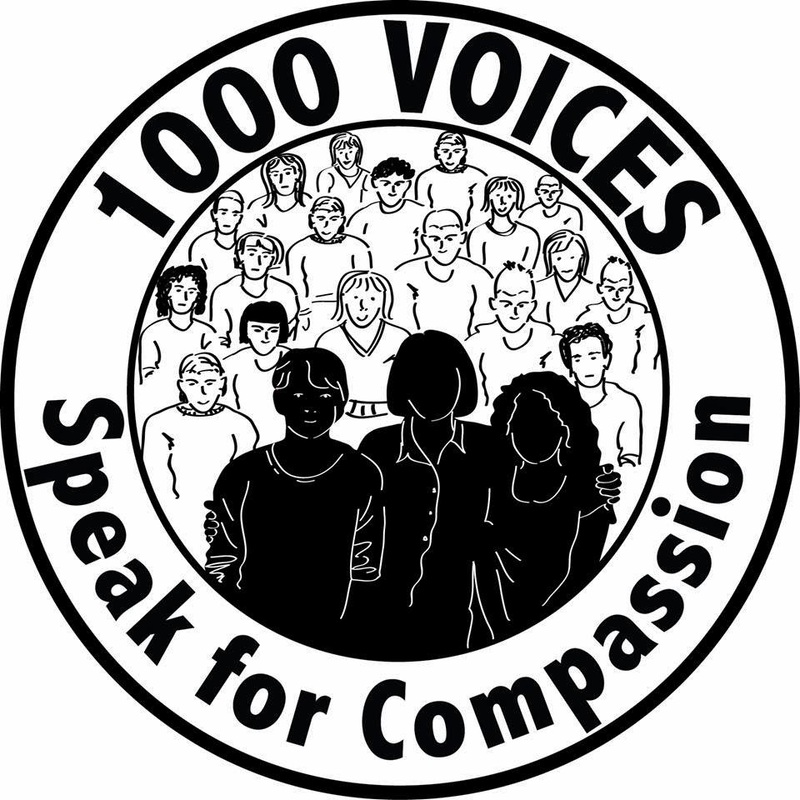 A day when 1000 voices across the world spread stories of compassion! They will write posts about compassion, kindness, support, caring for others, caring for the environment etc. Blogosphere, for a change, will become a platform that showcases ideas worth spreading to the entire universe to bring in peace, harmony, welfare and happiness. To inspire those who are preparing for their posts on compassion, let me reproduce one of my earlier articles on a compassionate soul, who was a school drop-out, thief and a convict. That was the question from many of my blog readers in the past few weeks. Yes, that was the longest ‘Lockout’ in the history of Cyber Diary. The reason was very simple. I was suffering from what generally called a ‘Writer’s Block’. I didn't feel like writing anything in the blog. I was watching my blog rank dropping from the eighties to the seventies and now to a pathetic 62. There could be many diagnosed and 'undiagnosed' causes for the pathological condition. It is true that I had a fall resulting in an ‘ankle twist’ and ligament injury two months back. My leg was put on a synthetic cast for about 20 days and I walked with a crepe bandage for a few weeks. My mind was active. My body was active too. But I couldn't write anything. Knowing very well that some of the past New Year resolutions exploded like a rocket mid-air, I had a few for this year too. The one that said I will have a blog post every week has already broken within the first fortnight! What did my ligament injury teach me? Never say ‘No’, when someone tries to help. I used to politely refuse any help from anyone thinking that it will be a burden for that person. I had thought that I should not get unduly obligated. I now realized that it is nothing but pride that prevents us from taking the help of others. We need to depend on each other. It is necessary for true bonding between people. My leg was sprained (ligament was injured because of the ankle twist) while I was attending a meeting in an unfamiliar city. I cannot forget the blessings I received through people whom I didn't know till that time. Mahesh and his team took me to the hospital. The doctor who was busy with his orthopedic surgery was kind enough to examine the X-Ray without any delay. As I couldn't move around, it was the local staff who packed my personal luggage. One of them brought an ice-pack and applied continuously on the injured area. Another gentleman went to the station and changed my tickets and got allotted a lower berth for comfortable travel. They brought two pillows so that I could keep my leg up during the travel. When I reached the destination early morning, my colleague was waiting for me with a hot cup of coffee in the flask. Back home, my wife and children were too eager to assist me in everything. I enjoyed the privilege of being served meals on the bed. I didn't have to do any house hold chores I meticulously carried out earlier. I didn't have to rush to open the door when the bell rang. I could enter home with the shoes on and could keep them near my bed instead of the shoe rack kept in the balcony. My daughter didn't ask me to iron her uniforms in the mornings. I could blissfully sleep till late in the morning and got out of the bed only after the coffee and the newspapers were placed. My driver John took extra care of me wherever I went. When we get an opportunity to be served by others, we need to accept that with humility and gratitude. That can motivate us to serve others, including the strangers, with added enthusiasm and sincerity. The world will become a better place when there is continuous caring and sharing between people. 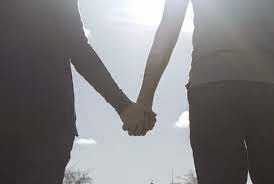 A realization that we cannot live without depending on others can strengthen our relationships with others. That can certainly shatter our ego, selfishness and pride. Wishing all readers a very Happy New Year! Post what you feel about this below or mail me at sibi5555 (gmail).